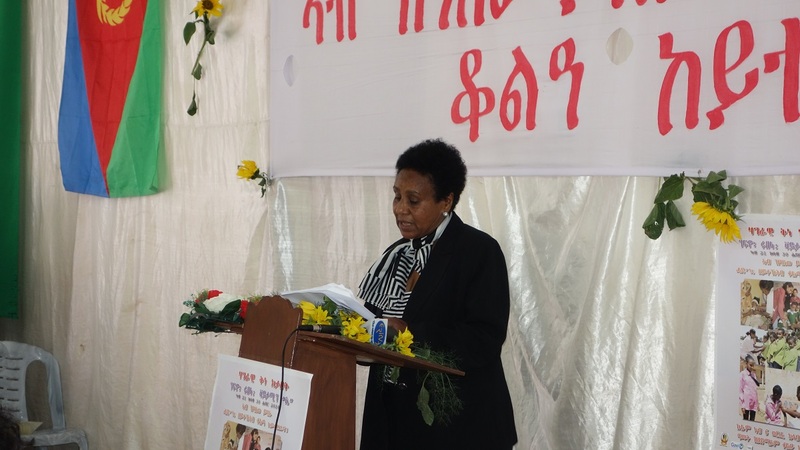 The Honorable Minister of Health, Mrs Amina Nurhussein said that Eritrea’s success in immunization has been globally recognized and repeatedly labeled as exceptional. She emphasized that Measles Rubella immunization is cost-effective and will also prevent these diseases and their complications. She expressed her gratitude to the partners for their contribution to the success of EPI program and the current campaign which would deliver vaccination to about 1,500,000 children under 15 years given in 298 permanent and 405 provisional outreach vaccination centers and schools across the nation, with about 1500 health workers, four member teams providing the service. At the same time, vitamin A was to be delivered to about 500,000 children 6 months to 5 years. The coverage expected to be reached is approximately 95%. After congratulating the Government of the State of Eritrea, for the remarkable achievement made in the reductions in childhood deaths, Dr Josephine Namboze, WHO Representative for Eritrea said that during this year’s national campaign, the United Nations and partners are continuing their commitment to support Eritrea Ministry of Health in fighting measles. She added that during this campaign, rubella vaccination will be introduced. It was incredibly important that all children aged 9 months to 14 years are vaccinated against measles and rubella during this catch up campaign, even if they have previously been vaccinated. 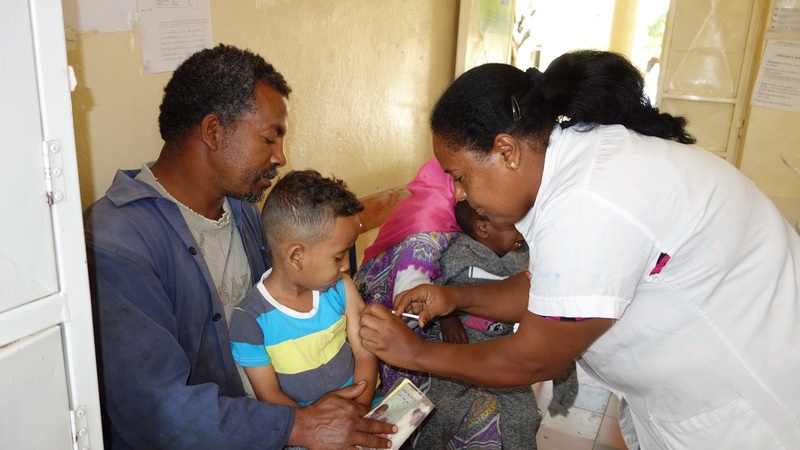 The campaign also provides an exceptional opportunity for other public health activities, such as receiving Vitamin A supplements, toward reducing the burden of related conditions. Dr Josephine applauded the successful planning activities and expressed the WHO’s readiness to continue collaborating with MOH on these key programs.